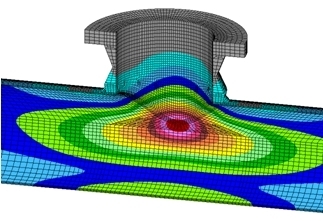 Our comprehensive simulation capabilities include pressure vessel analysis and fluid flow troubleshooting of process equipment, helping clients determine structural integrity, improve efficiency, increase throughput and reduce downtime. 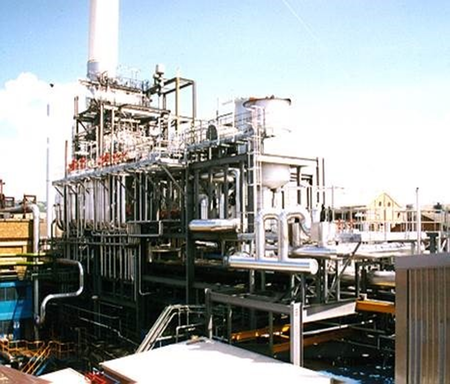 Our complementary technical safety and reliability services have been engaged throughout the world by chemical, LNG, CHP and other processing plants. 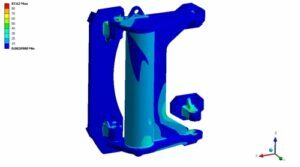 The integrity of process equipment can be assessed by our experienced structural mechanics engineers or through the supply of ANSYS software and training. 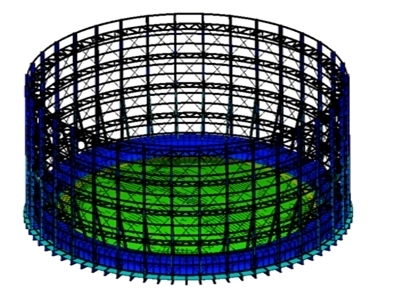 Projects have included pressure vessel assessment to PD5500 / ASME VIII Div 2 and thermal & dynamic pipe stressing, with typical deliverables involving stress linearisation, analysis-to-code and fatigue checks. We also have specialised fracture mechanics capabilities. 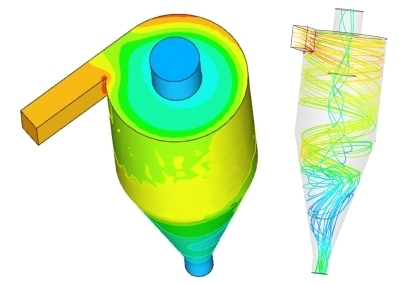 Safety assessment, standards compliance, troubleshooting and up-scaling of capacity is also supported by computational fluid dynamics (CFD). 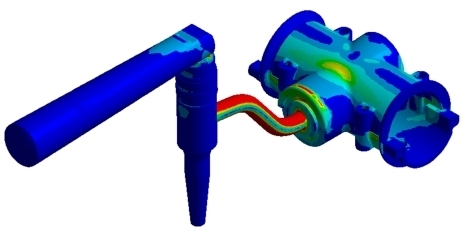 We make extensive use of industy-leading ANSYS CFX / FLUENT simulation software to help process engineers reduce energy consumption, increase plant efficiency and understand the implications of changes in scale. In particular, we have expertise in pumps, valve & seal performance and mixing & reactor design. 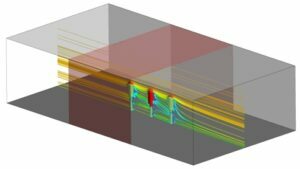 Our fluid dynamics team have also undertaken projects to simulate transient thermal-based manufacturing processes. 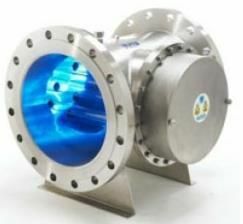 In water and waste water applications, we use CFD simulation to match retention, mixing, reaction or settling time requirements to actual residence time distribution, with significant experience in UV disinfection units. 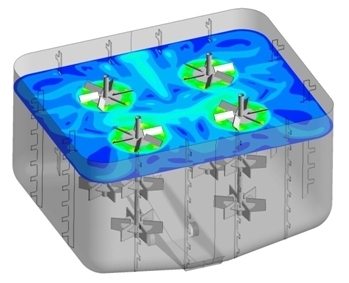 Plant-level flow characterisation and equipment selection decisions, including the diagnosis of under-performing units and evaluation of alternative new or retrofits designs, can often be tackled most effectively using 1D flow models. Our Flownex thermo-fluid software is able to account for large fluid ranges including two-phase, slurries, gasses, liquids and gas mixtures, ideal for boiler, pipe/duct network, pump/compressor and even SCADA systems and control design. Integrated with 3D CFD as appropriate, we can provide process and equipment design engineers with both software tools and insight at all levels of operation. Through an experienced team of safety consultants, we have supported companies with IEC 61511 functional safety standards for more than 20 years. LOPA and SIL assessments, HAZOP chairing and Safety File compilation activities are undertaken while a wide range of training courses in Safety Instrumented Systems (SIS), Alarm Systems Management and specific topics are delivered. We have considerable expertise and experience in providing safety consulting services at gas storage sites for over a decade including Avonmouth, Glenmavis, Kirriemuir, Partington and Grain LNG. Our assignments have covered every aspect of process safety including work on construction projects. RAMS Analysis, including FMECAs, is offered through our reliability services team to identify potential system failures and help optimise production throughput. Effectively capture and organize plant-specific data that reflect the actual equipment failure frequencies and maintenance practices used to quantify the reliability of components and systems. Generate a well-defined maintenance plan rather than an equipment failure-driven breakdown maintenance plan to reduce costs, increase operational availability and improve inventory control. We are members of Achilles UVDB.